At The Foodie Travel Guide, we really love good pub food. We believe it tastes even better though when you can eat, drink and sleep at the pub. 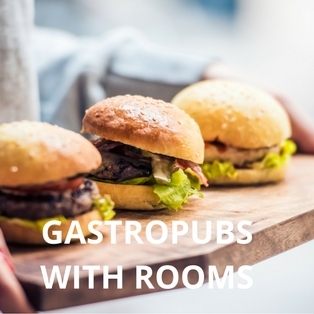 That’s why we’ve curated a tantalising selection of Britain’s best gastro pubs with rooms. Each one has earned its reputation for deliciousness and comfort. 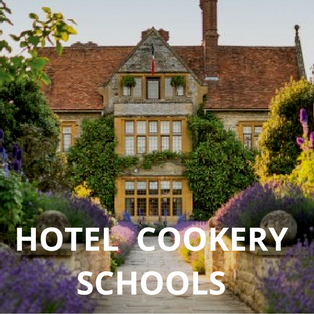 Time for a foodie weekend away? We’ve made it super easy for you. With rates provided by our Booking Partners, simply check availability and book. Appointed Michelin Pub of the Year in 2018, The Pointer is a charming and upmarket village pub with four stylish en-suite rooms. With food produced on its owned farm and beer brewed in the village, this is a little foodie gem. Gorgeous rambling family-run seventeenth century pub nestled between the Chilterns and the Cotswolds. The five light B&B rooms are fairly basic but come with award-winning food from owner, Matt, who previously worked at St John and Tom Kerridge’s pub The Hand & Flowers. Rooms from £70 a night. A cosy inn nestled in a beautiful secluded cove on North Cornwall’s dramatic heritage coast. Feast on award-winning cuisine and fish fresh off the boat. Rooms are individually designed and quirky. Enjoy a pint with the locals at this popular village pub. There are lovely bedrooms, award-winning food and an on-site cinema. All just 20 minutes’ drive from Exeter. Winner of Best Pub in Devon 2016/17. Venison and Hampshire trout are both on the menu of this discreet New Forest gastro pub owned by the bass guitarist of Dire Straits. The five bedrooms come with OKA furnishings and Mulberry fabrics. Fishermen rejoice! This is one of the best fishing inns in Britain. Tuck into pan-fried salmon or a seafood platter after a day’s fishing on the Test. Named after famous fishermen, rooms have a homely feel. Dig into Whitstable beer-battered fish & chips after a day walking the North Downs. The King’s Head is located in the historic village of Wye (with its own train station). Bedrooms are stylish and modern. 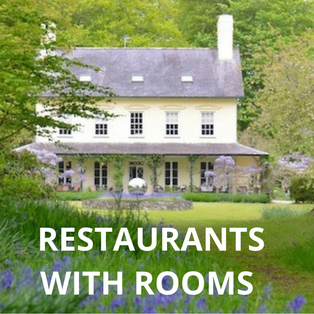 Beautiful walks, contemporary style bedrooms (named after culinary heroes), and tasty pub food. A perfect countryside retreat after a day exploring the Garden of England. Historic Canterbury is nearby. The pub is owned by Mark Sargeant, ex-right hand man to Gordon Ramsay and owner of the award winning Rocksalt restaurant in Folkestone. Tuck into tasty comfort food and soak up the Alma’s convivial atmosphere in this traditional Victorian London pub. The pub’s boutique rooms are spacious and there’s easy access to Central London by train. Read our Expert Review of the Alma Hotel Wandsworth. Like your own Private Members’ Club in the city. Stay in one of seven stylish rooms and feast on fine dining in the upstairs restaurant. A retreat in the heart of London’s busy financial district. Carnivores will love this Victorian London pub. For years it’s been serving the porters at Smithfield Market. The menu focuses on British cuisine (try the mixed grill). There are six stunning boutique rooms. Rooms from £169 a night. If you’re looking for a great South West London base, stay at this gastronomic bolthole in Mortlake. Greg Bellamey and TV Chef, Paul Merrett’s stylish pub has a lovely garden for dining and seven hotel bedrooms. Foodie heaven in the Peak District. A menu packed with Chatsworth Estate produce and walking distance to both the Farm Shop and Chatsworth House and gardens. Bedrooms are country house style. A picture-perfect sixteenth century country pub. An idyllic rural setting next to the River Windrush. Log fires, tasty food and rooms with a view. An ideal base for exploring The Cotswolds. Roaring fires, cosy armchairs, beams and flagstone floors abound in this traditional country inn in this charming Cotswold town. Enjoy a relaxed supper in the bar or fine dining in the restaurant. Chic in the country. Fantastic food and fourteen individually designed rooms with luxury en-suites. Tuck into steak and frites with a glass of red followed by strawberry Eton Mess. A favourite with dog walkers. A haven for fly fishing and walking. This award-winning coaching inn has spectacular rural views. Fish for salmon and wild brown trout on the River Don. Feast on Scotland’s larder and enjoy a wee dram by the open fire. Riverside views, real ales and tasty dishes are all on the menu at this gastro pub with rooms in the foodie town of Ludlow. It’s been praised by former guest and food critic, Jay Rayner. Stay in one of nine en-suite rooms. A great choice for Ludlow Food Festival. The handsome Somerset village of Wedmore is home to this popular eighteenth century inn. Feast on fantastic, seasonal country food in the spacious restaurant and stay over in one of its stylish bedrooms. A great spot for a West Country foodie break. Tuck into fish and chips in the pub bar and stay in one of its five bedrooms. Walk up the road to Yeo Valley Canteen or go cheese tasting in nearby Cheddar. Stunning West Country views from the restaurant, an amazing Sunday lunch and three comfortable en-suite rooms. Bordering both Somerset and Dorset, treat your taste buds to the best local produce from each county. Outstanding dining in Exmoor at this top sporting hotel. The area is known for its world-class partridge and pheasant shooting. Stay in one of the 9 traditionally furnished rooms. Low beams, creaking floorboards and delicious food define this historic village pub. Beer is brewed at its own Bedlam Brewery. With 8 luxurious rooms, combine a stay here with a vineyard tour at nearby Ridgeview Wine Estate. Quirky and award-winning gastro pub with luxury rooms and lodges set within a historic old coaching inn. Perfect for sitting by the fireside with a drink and exploring the surrounding countryside. Coast or country walks? Stay here, at the foot of the South Downs, and you can do both. Sleep in the pub’s luxurious rooms or cottages and dig into the restaurant’s field to fork produce. Relax with a glass of champers by the fireside of this countryside inn on the banks of the River Monnow. Indulge in hearty dishes in the restaurant or al fresco dining in the lovely garden. Reportedly Michel Roux’s favourite Welsh restaurant, The Hardwick serves outstanding food from chef, Stephen Terry, who was awarded his first Michelin star aged just 25. A stay in one of its stylish rooms includes a Welsh breakfast. Traditional wooden beams, a roaring fire and award-winning food characterise this seventeenth century inn with rooms in the heart of Yorkshire. Treat yourself to afternoon tea, dine on steak in the Grill Room or tuck into Friday fizz and chips. Join The Foodie Travel Guide Grapevine.